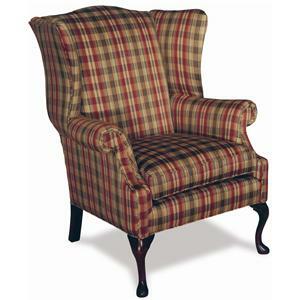 With chic, attractive style, enhance your living room decor with this upholstered chair. Low profile track arms and tapered wood legs add to contemporary style, while the plump seat cushion and padded wing back provide comfort. 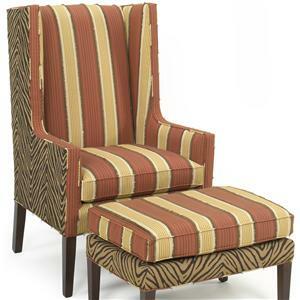 Pair with a matching ottoman to complete the stunning look. 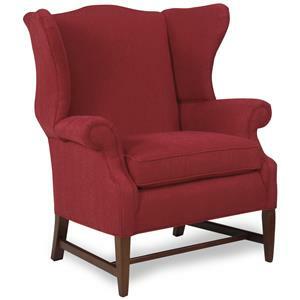 The 6300 Upholstered Chair with Tapered Wood Legs by Temple Furniture at Mueller Furniture in the Lake St. Louis, Wentzville, O'Fallon, MO, St.Charles, St.Louis Area, MO Furniture Store and Belleville, Shiloh, O'Fallon,IL area. Product availability may vary. Contact us for the most current availability on this product. Fabric Options 1,000 plus fabrics and leathers available. Wood & Finish 25 plus wood finishes available. Frame Construction Select and engineered hardwoods protect against warping and gives long life under humidity. Corner blocking gives the frame strength by bracing each corner. Double doweled joints are main joints that are glued and double doweled for maximum stability. Seat Support 8-Way hand tied base assures superior comfort and lasting durability by hand tying each coil spring eight times with high grade polyester twine. A steel band seat unit provides sturdiness by placing each coil spring at the cross of each band. Padding & Ergonomics Premium-wrapped cushion eliminates fabric from shifting and provides extra plushness for seating comfort. Our double wrapped arm offers quality batting and poly foam which gives an extra measure of softness and style. Warranty Frames and springs are guaranteed for limited lift under normal stress. Seat cushions are guaranteed as limited life. Fabric has a one year warranty against wear under normal use and with proper care. With chic and attractive designs, welcome the 6300 group into your home. 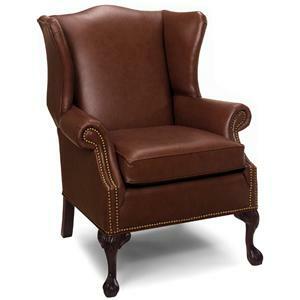 This chair and ottoman set features low profile track arms and tapered wood legs, creating subtle contemporary styling. The plush cushions establish inviting character and offer a comfortable place to relax. 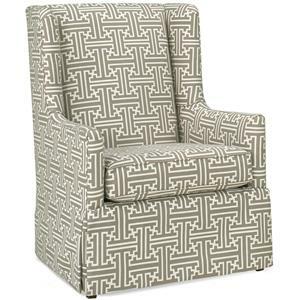 Available in multiple upholstery options, create the perfect look for your home! The 6300 collection is a great option if you are looking for Contemporary furniture in the Lake St. Louis, Wentzville, O'Fallon, MO, St.Charles, St.Louis Area, MO Furniture Store and Belleville, Shiloh, O'Fallon,IL area. Browse other items in the 6300 collection from Mueller Furniture in the Lake St. Louis, Wentzville, O'Fallon, MO, St.Charles, St.Louis Area, MO Furniture Store and Belleville, Shiloh, O'Fallon,IL area.